Decadence, deviation and exoticism are notions that now stand as mythical constructs of East European art of the 1980s, comparable to those of heroism, dissidence and originality that are regularly applied to the neo-avant-garde generation that preceded it. In attempting to account for the diffuseness of that decade, a number of common threads and questions arise. What impact did the different political circumstances in various countries of the region have? How did individual states appropriate, seize on or ignore the new art of the time? And how did the new generation of artists deal with the legacy of the socially-engaged and politically critical neo-avant-garde art of the previous decade? In Czechoslovakia, where in the aftermath of the suppression of the dissident civic initiative Charter 77 the harsh political situation sharpened even more, Petr Štembera, Karel Miler and Jan Mlčoch, three artists who significantly influenced artistic events in Prague over the preceding decade through radical performances and actions conducted in private and secluded spaces, were prompted to collectively give up art practice for good in 1980. Rather than expressing the disillusionment of the time by depicting it or dealing with it in their work, these Czech artists were so disheartened about the potential of art to compete with political reality that the only rightful solution seemed to be to withdraw their participation. 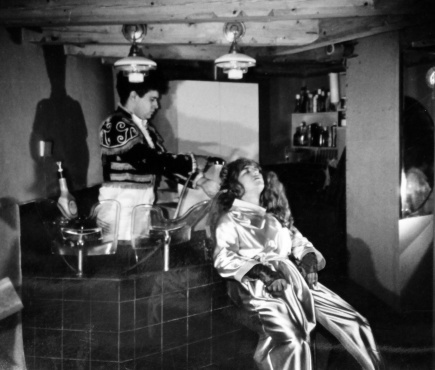 In short, the neo-avant-garde project across Eastern Europe had run out of steam. The suspicion expressed towards the neo-avant-garde for having found in some cases an accommodation with the communist authorities that was prevalent throughout Eastern Europe was particularly vocal in Yugoslavia, which had adopted modernism as a semi-official art form as early as the 1950s. 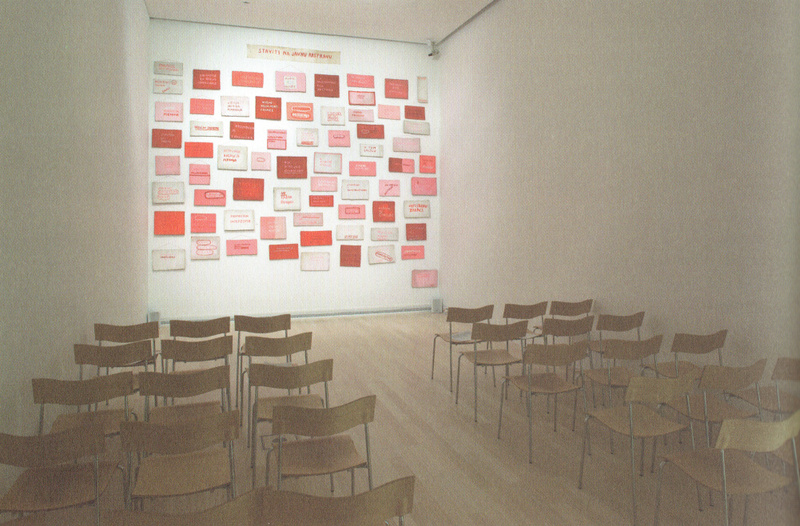 Maković’s criticism was notably also directed at the Zagreb Gallery of Contemporary Art for incorporating artists from the ‘New Painting’ show as an addendum to their exhibition on ‘Innovation in Croatian Art in the 1970s’, while failing to understand the significance of the movement by presenting it as a continuity rather than a break from the practices of the neo-avant-garde. 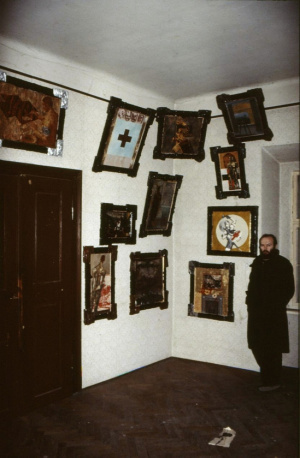 At the same time, the more liberal cultural atmosphere in nonaligned Yugoslavia made it possible for the Gallery to invite already in 1981 art critic Achille Bonito Oliva to Zagreb to curate an of the moment exhibition of the ‘Italian Transavantgarde.’9 Official art institutions in other East European countries could not move so quickly in responding to new international trends and discussion of the movement was at first confined to off-spaces and independent reviews. In Budapest, György Galántai and Júlia Klaniczay founded the Artpool Archive in 1979, which was conceived as an ‘uncensorable apartment-institution’ that along with documenting and archiving the activities of the unofficial art scene also organised actions and events.32 One such occasion was an international exhibition entitled ‘Hungary can be Yours! International Hungary’ that was installed in the Young Artist Club in January 1984 but instantly banned by the authorities. Although mainly dealing with East-West artistic relations, the show also featured directly oppositional works by the Inconnu Group, including a crumpled map of Hungary pierced with nails that dripped blood symbolizing a ‘humiliated and tormented homeland’ under Soviet rule.33 Two years later the group, which had connections to the opposition circles and had been in existence since 1978, announced an international competition for an exhibition celebrating the 30th anniversary of the Hungarian Revolution of 1956. As could have been expected in view of its taboo theme, five hours before the opening of ‘The Fighting City’ in the Inconnu Group’s apartment gallery Artéria in January 1987 the police arrived and removed all 39 artworks.34 The changed atmosphere of the latter half of the decade was however demonstrated by the fact that the artists decided to go ahead with the opening anyway and ridicule the regime by exhibiting instead the official police receipt for the confiscated artworks. A different approach to politics took hold in Slovenia, where the vogue for totalitarian aesthetics was epitomised by Neue Slovenische Kunst (NSK), whose co-founders in 1984 were the rock band Laibach, the Scipion Nasice Sisters Theatre and the artist group IRWIN.35 As the most western of the Yugoslav republics, Slovenia also had the reputation of being the most liberal, with a thriving subcultural scene in Ljubljana that did not hesitate to enter into political and media activism. Originating in this context, the NSK tactics was to turn to subversion, which in the case of Laibach for instance involved undermining totalitarian ideological ritual simply by, as artist-theoretician Marina Gržinić noted, ‘repeating it in its literal form’.36 When IRWIN addressed the issue of painting in their project ‘Was ist Kunst?’ they notably did not choose to create large scale neo-expressionist canvases, but rather a series of small format oil paintings on which they repeated the forms and techniques of both socialist realism and the modernism of the 1960s, referring to the periods of Slovenian art that had been deliberately overlooked in the official art historical narrative. Responding to the banning of Laibach from public performance by the authorities at the time, IRWIN chose in protest to first show the project in the closed, invitation-only setting of a Ljubljana apartment. In effect, through their rigorous application of the ‘retro-principle’ to the tropes of East European art, which pushed the aesthetic concerns of post-modernist art to their logical conclusion, IRWIN exhausted the repertoire of eighties painting just as late socialism burned out. In spite of its reputation as the decade of the ‘return of painting’, the overriding characteristic of the art of the East European eighties was its pluralism, which also accounts for its resistance to strict definition. While there was a tendency to play down the social and political role of art, the context in which the new generation worked was unavoidably influenced by the ideological chill at the beginning of the decade and the unstoppable liberalisation of its latter half. And although they continued to work in relatively market-free conditions, their dislike of state art institutions that imposed limits on artistic expression prompted them to appropriate minor spaces, from community centres to university corridors, as well as private apartments and studios, to create optimal conditions for their art practice. Despite the distrust of the ethos of collectivism, they often gravitated towards the formation of artistic groups that provided a means to express their divergence from the dissipation of the late socialist system. Demonstrating their openness towards the world in their willingness to cross genre boundaries, receptivity to inter-cultural and historical borrowings, as well as immersion in sub-cultures of music, fashion and poetry, the alternative artists of the eighties in Eastern Europe were eagerly poised for the imminent fall of the political frontiers too.